The final two major Kentucky Derby prep races are on tap on Saturday, and for horseplayers that backed Bayern and Bobby’s Kitten in Derby future wagering, the heat is on. Bayern is the 2-1 second choice in the $1 million Arkansas Derby (G1) at Oaklawn Park on Saturday and is currently listed at 16-1 at Bovada in Kentucky Derby future wagering, but needs to earn Derby points to get into the field for the Run for the Roses. The colt is nowhere to be found in the 2014 Kentucky Derby Points Standings because he has just two starts under his belt and his start on Saturday is his first in a points race. The colt faces a couple of formidable foes that have already stamped their ticket to Louisville. Tapiture is the 9-5 morning line favorite and is coming off a runner up finish in the Rebel (G2). The Steve Asmussen trainee won the Southwest (G3) in his first start over the Oaklawn Park main track. The colt has 42 points, good for 13th place in the standings and is currently listed at 20-1 in Derby future betting at Bovada. The D. Wayne Lukas trained Strong Mandate is the 9-2 third choice for the Arkansas Derby. The colt was a troubled fourth in the Rebel, beaten 2 ½ lengths for the top spot. The colt has earned just 11 Derby points and needs a top two finish to guarantee a spot for the Derby. A third place finish may get him in. 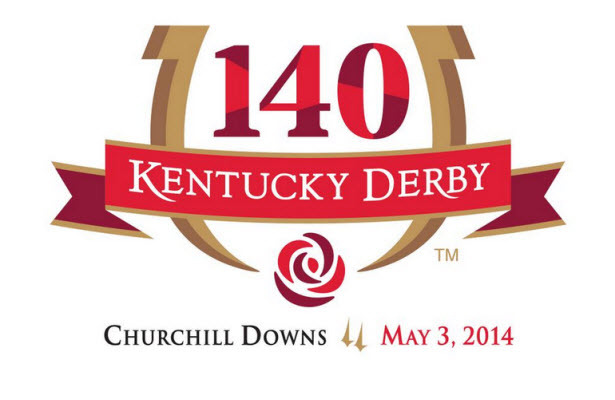 The colt is 25-1 at Bovada in early Kentucky Derby wagering. At Keeneland, a full field will go in the $750,000 Toyota Blue Grass (G1) over the polytrack surface. The 3-1 morning line favorite is the Chad Brown trained Bobby’s Kitten, who is listed at 30-1 in Derby future wagering at Bovada. The colt has only raced on turf and has no Derby points. The race drew a wide-open field that includes the Todd Pletcher trained Gala Award, who won the Palm Beach (G3) on turf in his last start and the Spiral Stakes (G3) runner up Harry’s Holiday. This will be the last year the Toyota Blue Grass will be contested over polytrack. The track announced they will replace the synthetic surface with conventional dirt in time for the fall meeting. There have been 19 Kentucky Derby winners that competed in the Blue Grass, but not since Street Sense ran second in 2007 and then won the Run for the Roses. No betting favorite has won the race since Peace Rules in 2003. After this Saturday’s preps there is just one Derby points race left to be decided. Next Saturday’s Lexington (G3) at Keeneland will offer 10-4-2-1 points to the top four finishers but likely will not have much of an impact on the Kentucky Derby field.